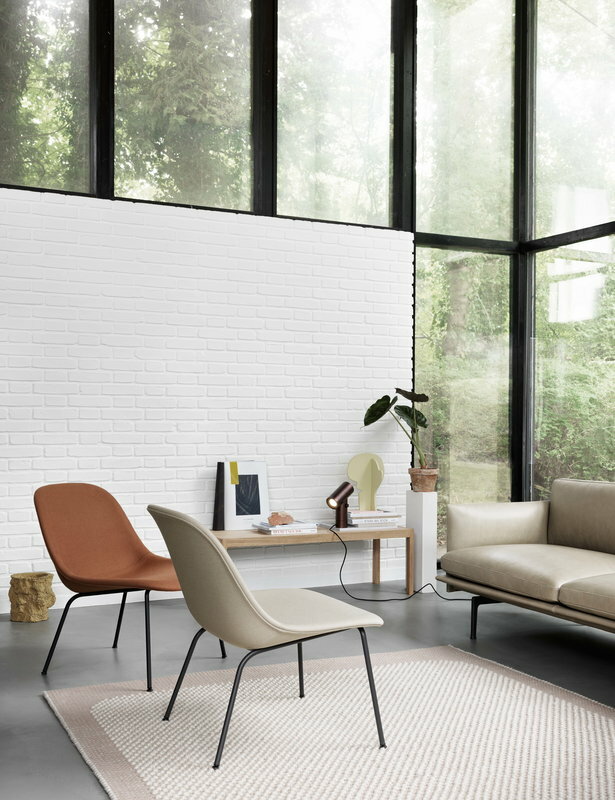 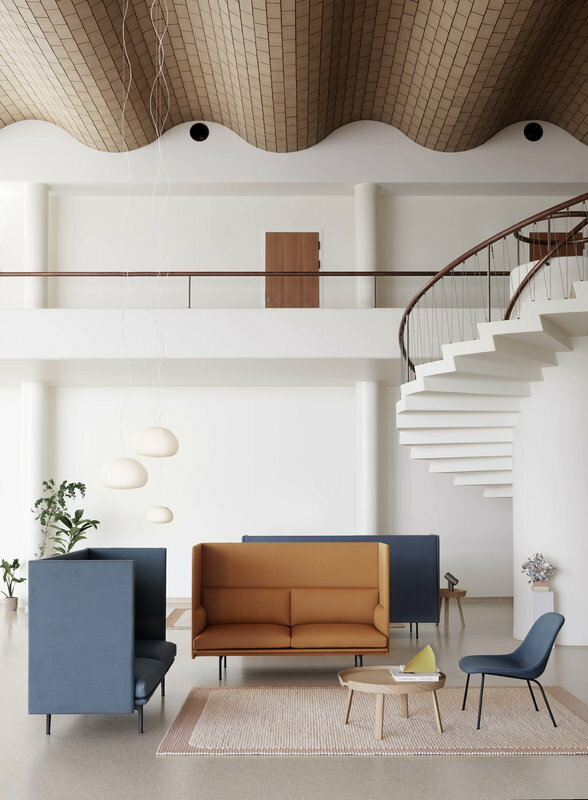 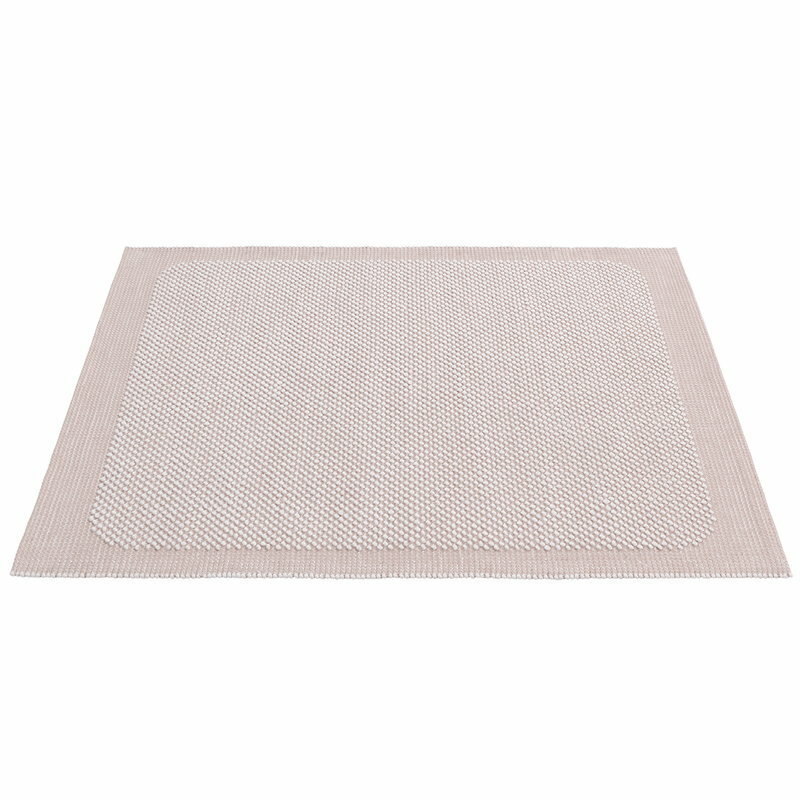 Muuto’s Pebble rug has a vivid surface inspired by the feeling of walking on smooth, pebbled beach. 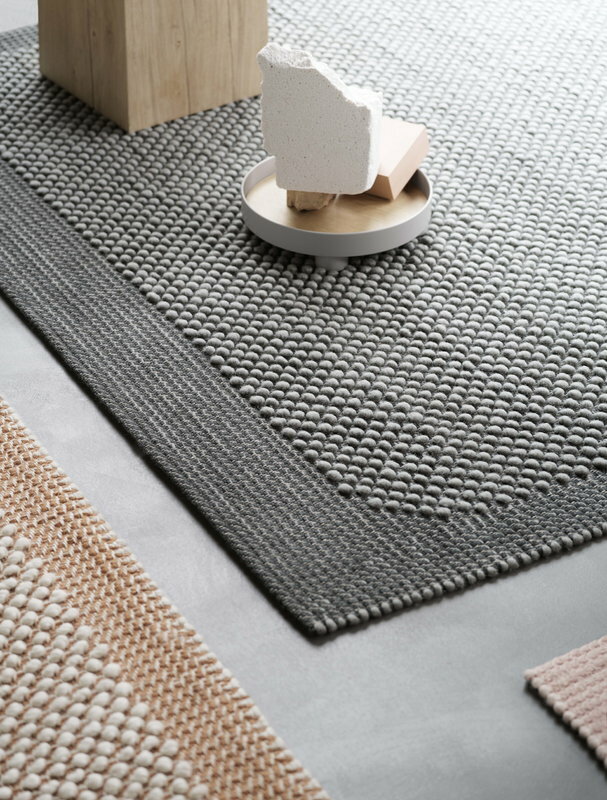 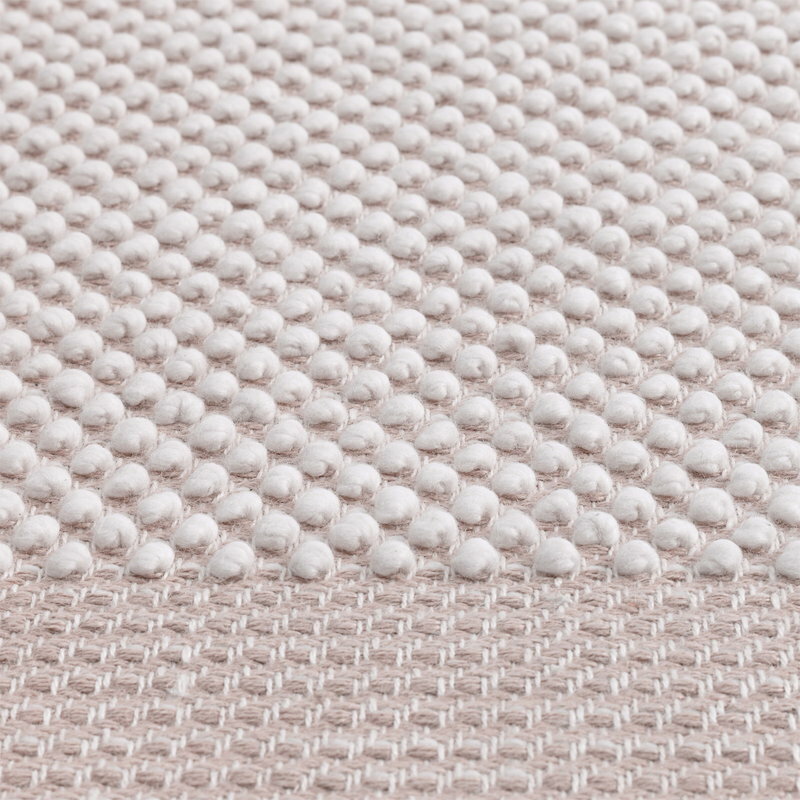 The two-toned Pebble rug has been woven by hand from wool and jute – the woollen loops create a warm, rhythmic texture on the jute yarn. 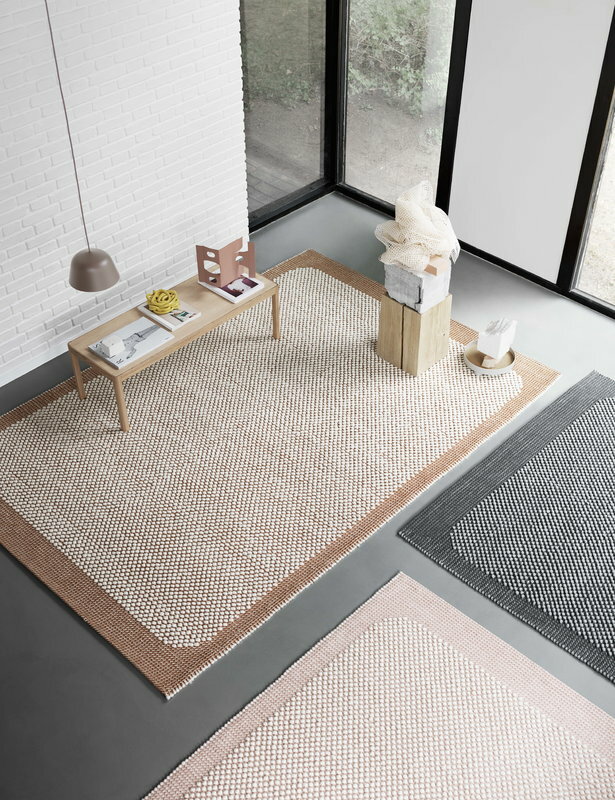 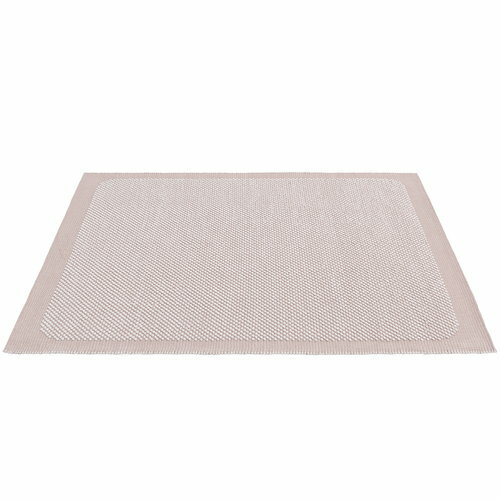 Created by the textile designer Margrethe Odgaard, Pebble rugs will easily suit both homes and public surroundings. 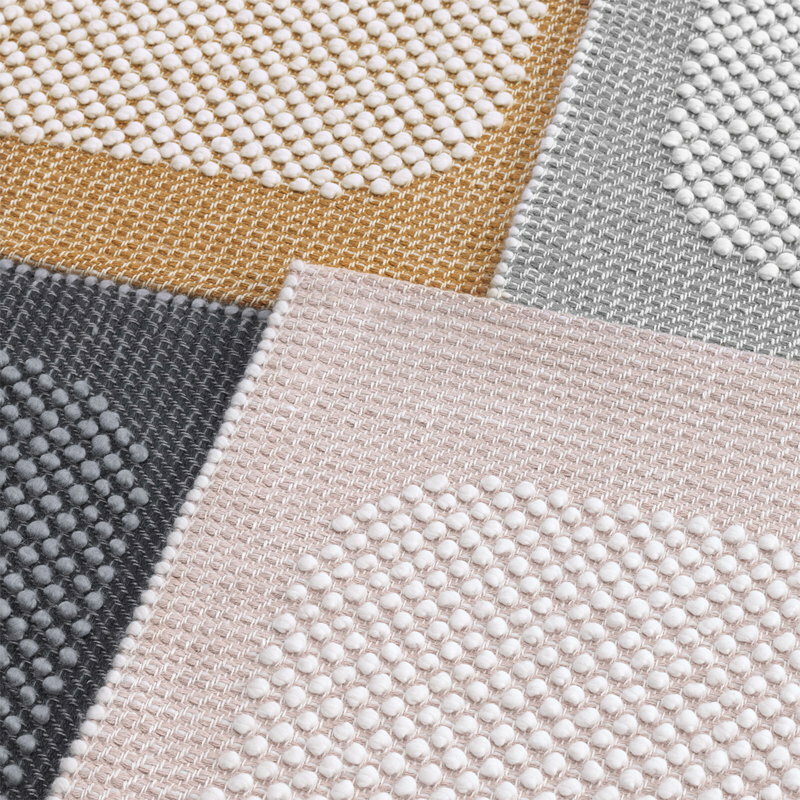 Gentle vacuum cleaning, professional dry cleaning. Avoid cleaning with water, as this will damage the product.